MAINTAINS REGULARITY – Unlike harsh laxatives, our psyllium capsules naturally form a gel when combined with liquids, assisting with the passage of food to eliminate waste. Each daily serving provides 2.2g of dietary fiber, representing 8% of your recommended daily fiber intake! BOOSTS DIGESTIVE HEALTH – High fiber foods typically only provide one source of fiber. Our psyllium capsules provide a combination of insoluble and soluble fiber, essential for the maintenance of optimal digestion. 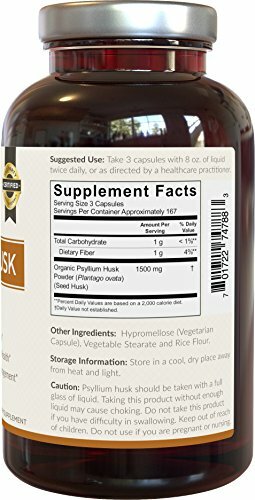 PROMOTES HEART HEALTH – Sourced from organic psyllium seed husks, our capsules expand 10-20 times their original size in liquids, sweeping bad cholesterol from the digestive tract for greater cardiovascular support. PROMOTES HEALTHY WEIGHT MANAGEMENT – A high intake of fiber when combined with water, promotes satiety, helping you to feel fuller longer. 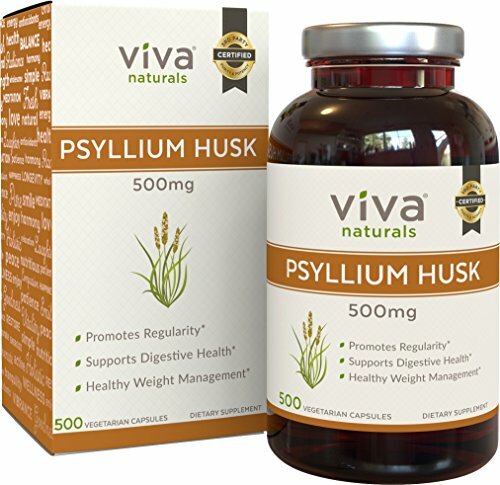 Combat food cravings with Viva Naturals Organic Psyllium Husk. 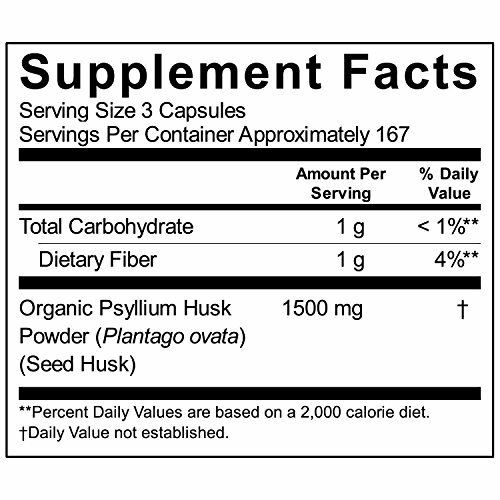 Details: Viva Naturals Organic Psyllium Husk is the best all-natural fiber supplement for increasing your daily fiber intake, promoting enhanced cardiovascular, digestive and weight management benefits! Promotes Regularity – Our psyllium capsules form a gel when taken with water or other fluids, adding bulk to the digestive tract for ultimate relief and regularity. Supports Cardiovascular Health – Our psyllium expands 10-20 times its original weight when taken with adequate liquid, easing the transport of cholesterol away from the bloodstream and into the colon for healthy elimination. 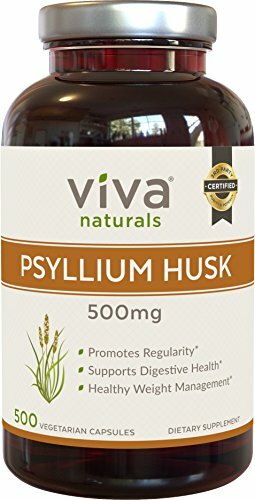 Contrary to harsh laxatives, our psyllium husk is a natural bulk-forming fiber that assists with the elimination of toxins and waste by maintaining colon health. Upon harvesting our organic psyllium seeds, we use a unique de-husking method that isolates the husks from other plant fragments. We gently crush the husks to yield a soft, fine powder without the use of chemicals or harsh solvents, preserving its nutritional integrity. 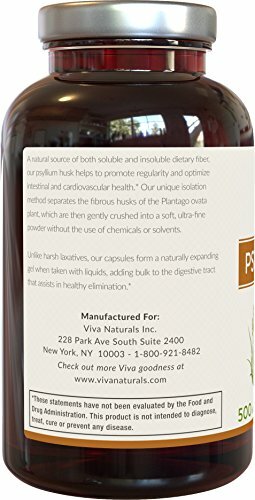 Manufactured in GMP certified facilities in the USA, Viva Naturals Organic Psyllium Husk provides 2.2g of dietary fiber per daily serving.